Singers Miguel and Melanie Fiona were out to support our president at the bowling for Barack event in NYC this week, IDK a cute couple in the making. 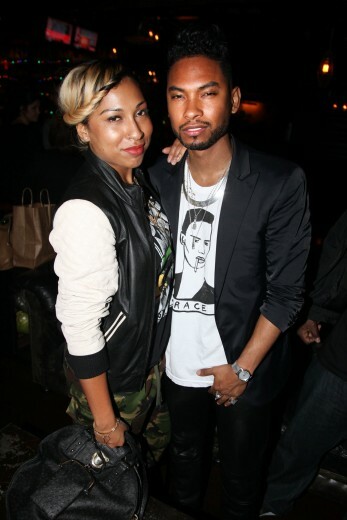 Keke palmer really has grown up as she seen at the SiriusXM studios in NYC, not sure I'm feeling the blonde hair. 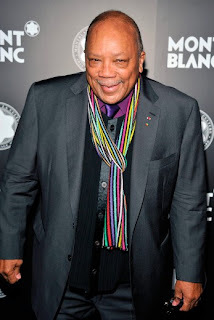 Quincy Jones was this years honoree at the Montblanc Gala, congratulations! to this musical icon. Kim Porter was also in attendance for the Montblanc event, Kim seriously your like 2 pounds why the big a** romper? Just saying.